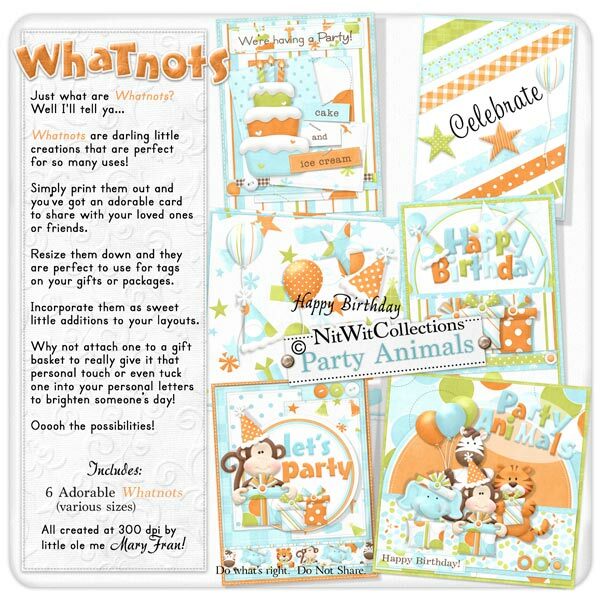 "Party Animals" Whatnots are perfect birthday cards or party invitations that can easily take care of a personalized card, and leave you time to focus on other items for the party! Simply print on an A4 or 8.5"x11" piece of cardstock, fold it over where the finished card ends and trim off the excess. Voila! P.S. don't forget to write you're sentiment inside!